Mayson-Dixon is a strategic communications and properties and development firm that targets political and governmental clients. Doyle Communications provided startup branding that included trademark search and consultation, logo design, identity collateral, web site development, and writing services. Startups typically seek maximum exposure within tight budgets, so website and collateral was created to be easily maintained by in-house personnel. Data lead captures in web and e-mail communications allow them to build their contact lists passively, and a Facebook feed on their web site improves SEO while ensuring that the site contains current information without requiring additional effort on their part. 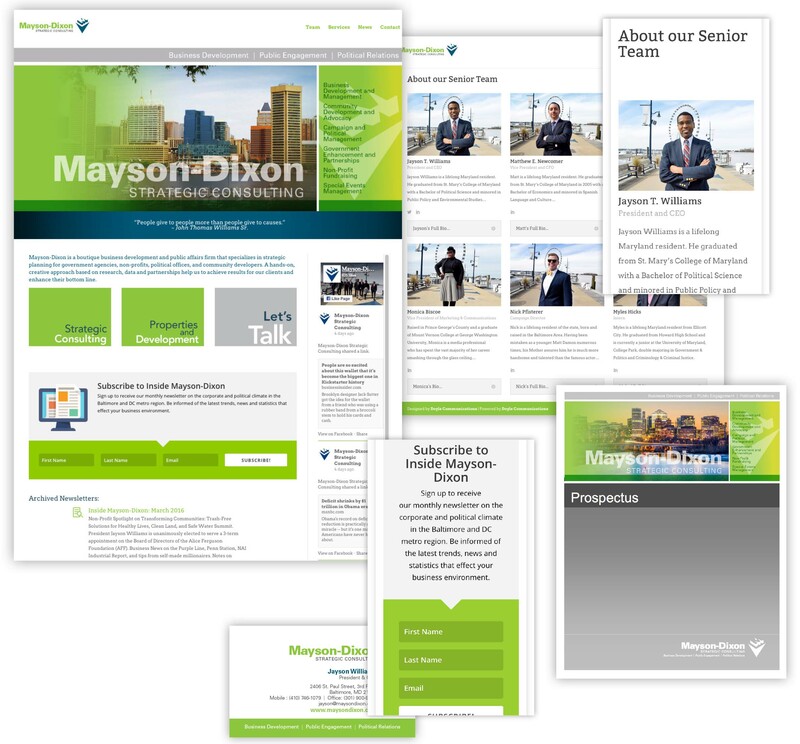 Media: Website and corporate collateral. Services: Brand development, writing, design and creative media development.